The ingredients in this product are supported by science and the directions for using this product are quite clear and easy to follow. Juvabrite Skin Brightening Complex is a gentle skin treatment that does not contain any harsh ingredients and is formulated to lighten dark spots of skin that it is applied to. It blends the affected skin to match its surroundings and return it to its natural color, tone and texture. It is designed to reduce discoloration and blemishes caused by dark spots related to sun exposure, acne or certain medications and health conditions. It can be worn with makeup or on its own. It is also meant to give the skin a fresh and radiant feel. All of the ingredients listed here contain valuable nutrients and minerals that nourish skin cells to optimize their health. Skin cells with optimal health are less likely to produce extra pigment which otherwise results in hyperpigmentation or dark spots. The last 7 ingredients listed are a number of compounds that have been scientifically confirmed to reduce melanin production in skin cells. Melanin is the pigment that skin cells produce to give a darker appearance. Often dark spots are simply a result of skin cells inappropriately producing too much melanin and these ingredients help to stop that. Cleanse the area where the product is to be applied before actually applying the product. Then apply a thin layer of the product to the affected area or even the entire face every morning and every night. The manufacturer recommends applying sunscreen afterwards with the strength of at least SPF 30. A one oz bottle can be purchased online directly through the manufacturer for $69.99. The manufacturer offers free shipping on all orders over $60 so this product is delivered for free. This is only valid in the United States of America. There is no evidence of any other pricing options which might offer customers discounts for buying in bulk for example. 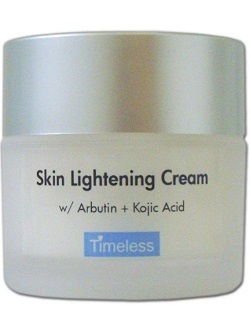 Juvabrite Skin Brightening Complex is covered by a money back guarantee. If the customer is not completely satisfied with the product it can be returned within 60 days from shipping. The manufacturer will then give the customer a refund but they mentioned that this does not cover shipping but more importantly it seems there is a handling charge that is not specified. This is a bit of a dishonest tactic in our opinion, because customers should know exactly what a guarantee entails and how much of their money they will receive back if they return the product. The ingredients in this product are supported by science and the directions for using this product are quite clear and easy to follow. However, we find that this product is not the safest for customers to buy for two simple reasons. The first reason is that there isn’t a range of pricing options for customers to choose from depending on how much the product they need. Some manufacturers offer a discount for buying several units of the product. The other, more important reason is that there is an unknown handling charge when customers return the product so they do not receive all their money back if they are unsatisfied with their results.